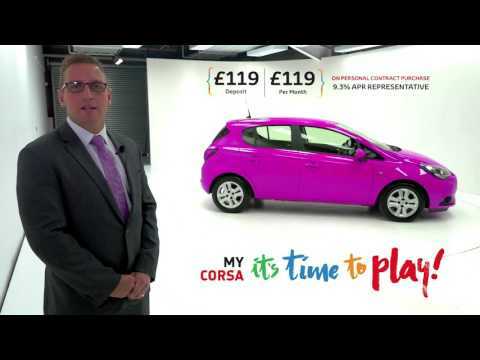 2015 Vauxhall Corsa starting from only £119 per month | £119 Deposit on personal contract purchase at 9.3% APR Representative available in a wide range of colours along with customisable options! Get Creative! It's Time To Play. You can choose our stunning range of pre-customised options, or design your own. 2015 Vauxhall Corsa stock is available at Charles Hurst in Belfast, Newtownabbey, Lisburn, Portadown and across Northern Ireland. We also have a stunning range of 2015 Toyota Aygo starting from only £89 per month on personal contract purchase at 4.5% APR Representative with a wide range of customisation options. You can choose our stunning range of pre-customised options, or design your own. 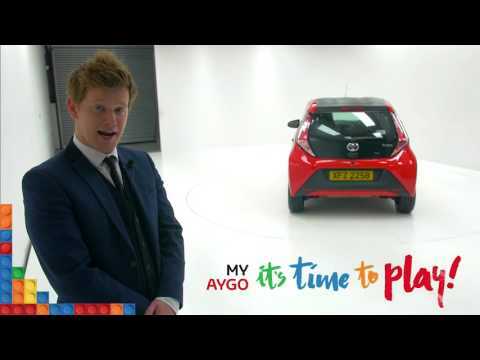 2015 Toyota Aygo stock is available at Charles Hurst in Belfast, Newtownabbey, Dundonald and across Northern Ireland. Personal Contract Purchase (PCP) offer for Retail customers only. Not for Business Users. Representative 4.5% (Aygo) and 9.3% (Corsa) APR available while stocks last and proposed for finance through Black Horse Limited trading. This promotion cannot be used together with other manufacturers promotions and is subject to availability. All details are correct at time of publication and are subject to change without notice. Offer may be varied, withdrawn or extended at any time. or (3) return the vehicle (a charge of 9p per mile +VAT for any excess mileage up to 4,999 miles and 28p per mile +VAT for excess mileage over 5,000 miles per annum in this example will apply) subject to it being in good condition. In the event that you choose to return your vehicle to us at the end of the agreement, there will be nothing further to pay (subject to your vehicle meeting our fair wear and tear standards, is within the agreed mileage and your account is up-to-date). If you choose option 1 or 2 at the end of the agreement, you'll need to pay the Optional Final Payment plus the option to purchase fee. Optional final payment and option to purchase fee not payable if you opt to return the vehicle at the end of the agreement (vehicle condition, excess mileage and other charges may be payable). Representative example is based on a total mileage of 24,000 miles (Corsa) and 21,000 (Aygo) over the agreement.